Utah County is a county in the U.S. state of Utah. As of the 2010 census, the population was 516,564, thus making it Utah's second-most populous county. The county seat and largest city is Provo, which is the state's third-largest city. The county was created in 1850 and named for the Spanish name (Yuta) for the Ute Indians. 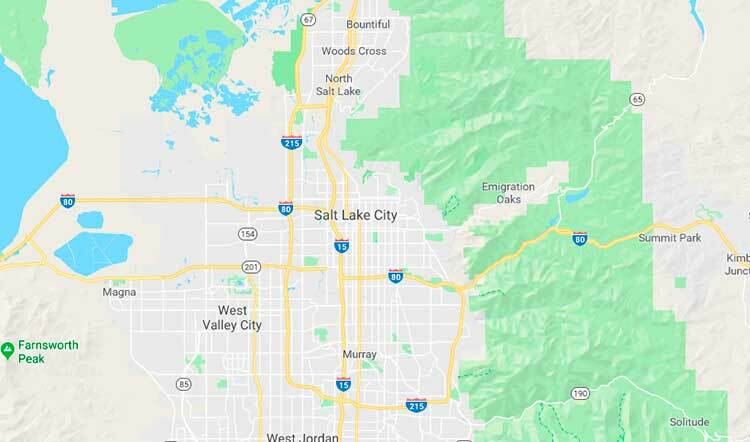 Utah County is part of the Provo-Orem, UT Metropolitan Statistical Area as well as the Salt Lake City-Provo-Orem, UT Combined Statistical Area. In 2010, the center of population of Utah was in Utah County, in the city of Saratoga Springs. Utah County is one of seven counties in the United States to have the same name as its state (the other six are in Arkansas, Hawaii, Idaho, Iowa, New York, and Oklahoma Counties). According to the U.S. Census Bureau, the county has an area of 2,144 square miles (5,550 km²), of which 2,003 square miles (5,190 km²) is land and 141 square miles (370 km²) (6.6%) is water. Utah Valley lies at the center of the county, lined by the mountains of the Wasatch Range on the east. Utah Lake occupies a large part of the valley. The elevation ranges from 4,487 feet (1,368 m) above sea level at the lake to 11,928 feet (3,636 m) at the peak of Mount Nebo. As of the census of 2010, there were 516,564 people, 140,602 households, and 114,350 families residing in the county. The population density was 259 people per square mile (100/km²). There were 148,350 housing units, at an average density of 74 per square mile (29/km²). The county's racial makeup was 89.4% White, 0.5% Black or African American, 0.6% American Indian or Alaska Native, 1.4% Asian, 0.8% Native Hawaiian or other Pacific Islander, 4.6% some other race, and 2.7% from two or more races. 10.8% of the population were Hispanic or Latino of any race.